Gympie Websites is the website design and development team providing design services for Gympie Business Directory at Cooloolabusiness.com. Visit our Client Care page for information about Gympie Websites and how we care for our valued Clients. We specialise in WordPress development and customisation to provide our clients with “State of the Art” content management systems. 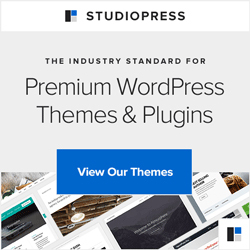 We became Developer Members of Brian Gardner’s Revolution Premium Themes in July 2008 and now have StudioPress Pro Plus Membership which provides with access to all Revolution and StudioPress Genesis themes and enables us to customise and support these themes.